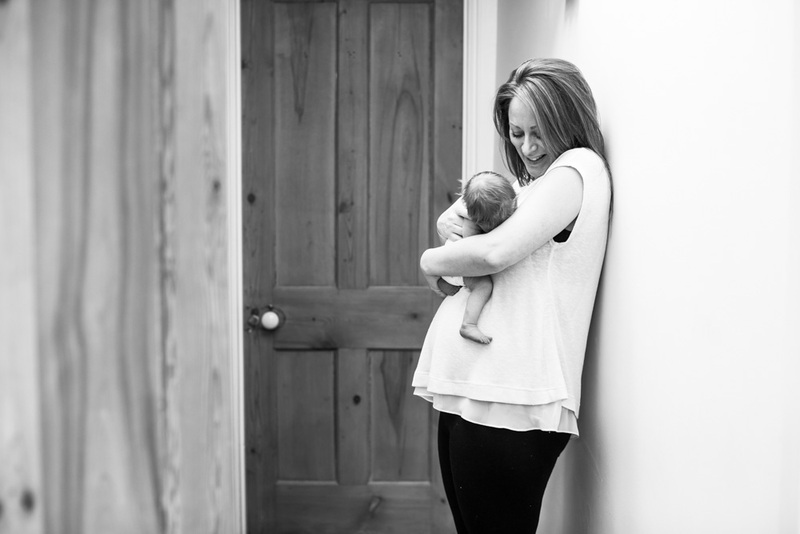 A few weeks ago I had the pleasure of meeting gorgeous baby Tahlia. She was less than 2 weeks old and still settling in with Mum and Dad at home. Our shoot almost didn't happen because they had had a really tough night, but we decided that I'd come over to meet her anyway and only get out my camera if it felt right for Zoe, Gaz and Tahlia. Well after a cuppa and a catch up, Tahlia was fast asleep and the light was pouring in through the windows so we thought we would give it a go. 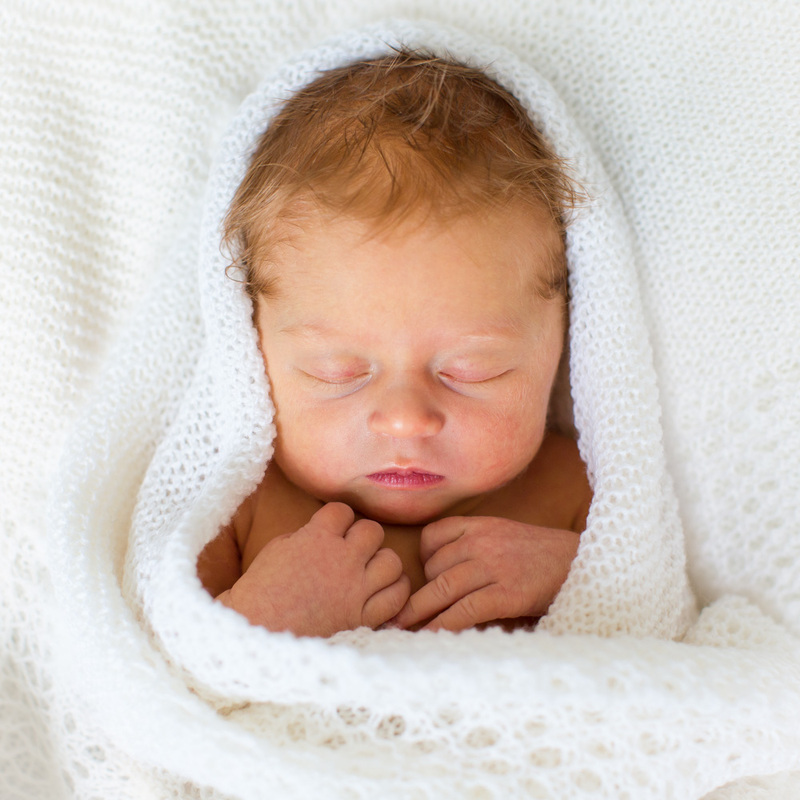 I love doing newborn shoots at the couple's house because that is where they are most comfortable and a person's home also reflects their personality. 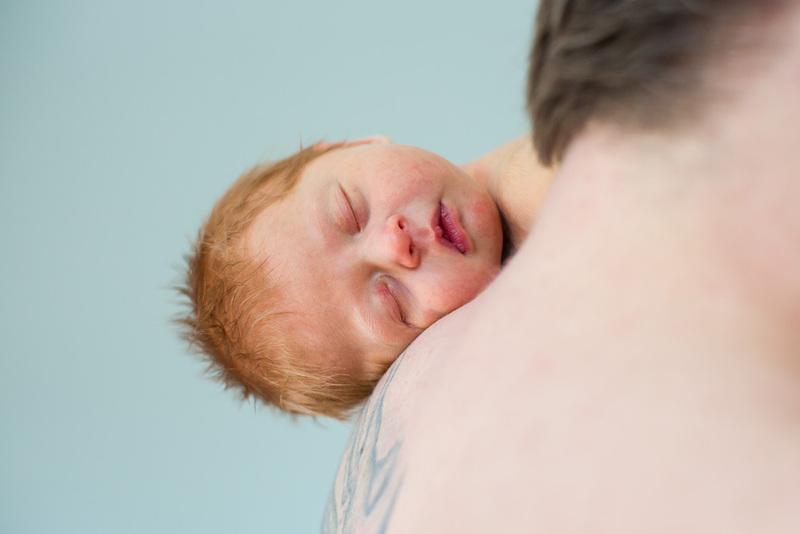 One of my favourite photos is of Tahlia resting on her Dad's shoulder fast asleep with her gorgeous strawberry blonde hair against a beautiful soft blue wall. She looks stunning and so tiny alongside her Dad. These images made my heart skip a beat when I was editing them. I believe the photos express a calm tenderness between a new family getting to know each other and parents in awe of just how precious their little one and each other are. It was an absolute privilege to spend the morning with Zoe, Gaz and Tahlia. I'm grateful that they allowed me to document the beginning of the their new life together as a family. I'm going to sign off now and let you enjoy some more pictures of them all. As you will see from the final photo Tahlia decided when the shoot was over and that is cool with me. 2015 - the best bits!